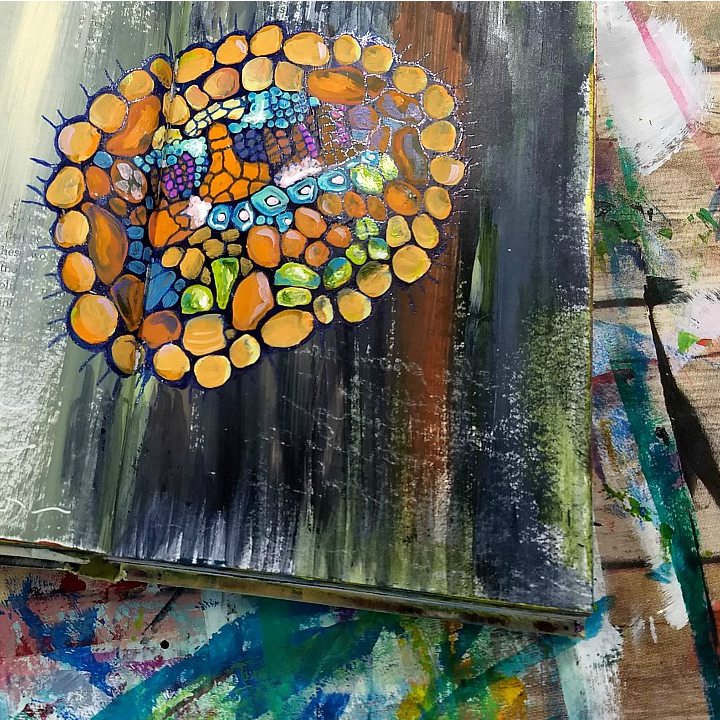 In this flip-through video, I share a peek at one of my favorite little altered-book art journals from a couple of years ago. I didn't totally fill up the book - I often don't - but sometimes in creative practice things are just complete and have run their course, without forcing ourselves to stay with them to the end and fill up all the space when our heart, attention and time is being pulled elsewhere, ya know? There's a time for sticking with things, and a time for just going with the flow and following the energy. And sometimes in the creative process - often, even - we look around and realize we've circled back anyway, refreshed with perspective, to re-visit something we thought we'd left behind. Also, this week is the last chance to join us for IN THE STARS. Check out my IG stories or your inboxes (if you're a subscriber) during the week for a discount code to save and join us - or just click here for 20% off. This will be the last chance to take the whole program at once as a guided journey with me - I'm making room for the next iteration of creative practice offerings. You can find some testimonies on working with me here. If you need the payment plan to join, use code STAR3 at checkout for the discount.